Footgolfwise are associated to Footgolf Frenzy. Footgolf Frenzy Ltd. is a company that has been formed to proactively build and grow the game in the UK. Footgolf Frenzy wants Footgolf to be a sport enjoyed by all – from families to groups of friends, from the young to old and for those wanting some fun to those looking to improve their fitness. 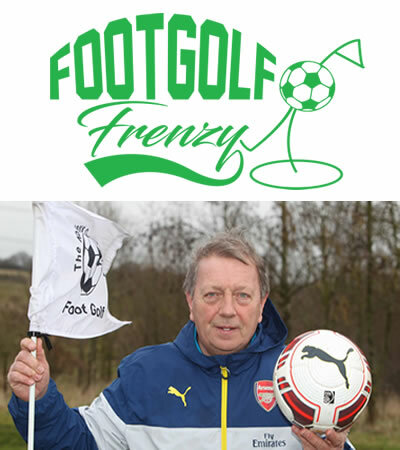 The people behind Footgolf Frenzy have an abundance of experience in the Footgolf, golf and football industries. This team has been put together to ensure Footgolf Frenzy has a complete appreciation, knowledge-base and experience to grow the popularity of the sport. The team has one vision and purpose, to grow the sport in a positive, inspiring and proactive way for all. Footgolf Frenzy are establishing themselves at the go-to resource for finding and booking the best Footgolf courses in the UK. If you are looking for a Footgolf course outside of London or Essex, then visit their website to find a Footgolf course near you.